March 1st- Recital and Sleeping Beauty Tickets are on sale at ISU Braden Box office. Best to go to the box office or call 309-438-5444. 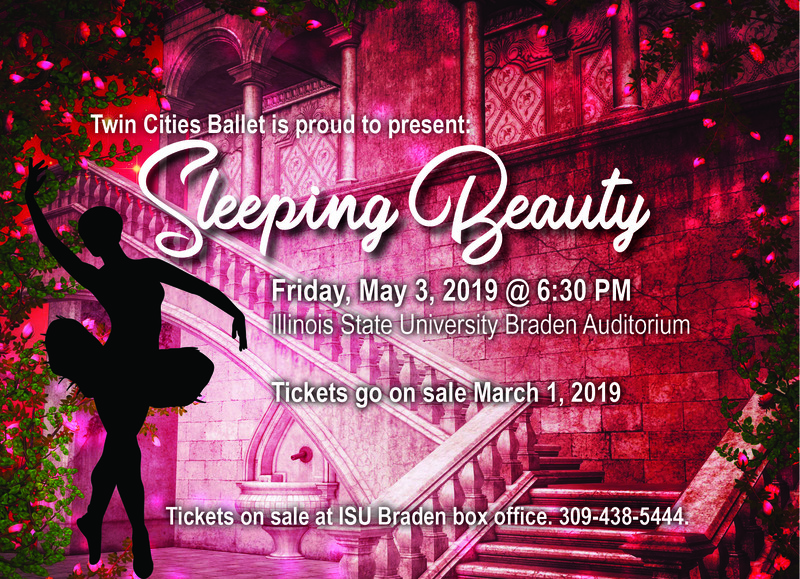 May 3, 2019- Sleeping Beauty at ISU Braden Auditorium at 6:30 pm.